Diabetes, also known as diabetes mellitus, is a disease in which a group of metabolic disorders happens. This result in an increase in blood sugar level for a long period of time. Higher blood sugar causes many problems in the body, which includes damage to heart, kidneys, and some other organs. If the diabetes is very severe, it can even damage the nerves, blood vessels, and may urge for the amputation of the body’s limbs. Diabetes is mostly caused when there is a problem in the production of insulin in the body, or the body is not able to respond to insulin. Insulin is a type of hormone that is developed by the pancreas, an organ in the body. It helps the cell in our body to absorb the sugar from the blood to get energy. The lack of necessary insulin in the body causes an increase in blood sugar because cells are not able to absorb the sugar. So, sugar levels in the blood increase over time. Why does diabetes develop in a person? There are several causes behind the development of diabetes in the body. But these causes don’t fit accurately behind diabetes development. The causes may vary from a person-to-person, and family background of diabetes also play a role in diabetes. Autoimmune reaction – immune system destroys pancreas due to some reason. There are many types of diabetes that can be developed in people of any age – from childhood to old age. But the most common types of diabetes are type 1 and type 2 diabetes. When the immune system of the body destroys the cells of the pancreas, the pancreas stops producing insulin and cause increased blood sugar. This behavior of the immune system towards pancreas in strange because it destroying the organ of its own body. There are several reasons behind this strange behavior of the immune system, but scientists are still not sure what exactly causes it. People suffering from type 1 diabetes have to take insulin regularly for their entire life to control their blood sugar. There is also another less common method in which the pancreas of the person is transplanted. 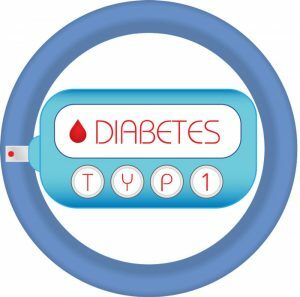 Type 2 diabetes develops when the pancreas in the body is not able to produce sufficient amount of insulin, or the body is not able to use the insulin. This behavior of the body is also called insulin resistance. Type 2 diabetes is the most common type of diabetes and can develop at any age, but mostly old age people develop it. One of the reasons behind type 2 diabetes is overweight, but not always the case. The most important part of the treatment of diabetes is to monitor and control the level of blood sugar regularly. There are several ways to treat and control diabetes, and some of which are different for different type of diabetes. Type 1 diabetes requires a regular intake of insulin to control blood Also, changing the diet to a healthier diet and exercising can help. Moreover, there is transplant surgery of pancreas which is mostly performed on patients who have severe diabetes. Type 2 diabetes can be controlled by taking medicines and insulin. Overweight is also a major cause of type 2 diabetes, so losing weight and maintaining a healthy lifestyle helps in controlling type 2 diabetes. Diabetes was considered as one of the most fatal diseases before the discovery of insulin. Mr. John Macleod and Dr. Frederick were the first to discover insulin in 1921. Frederick and Mr. John Macleod also received a Nobel Prize in 1923 for their discovery of insulin. Around 30% of people having diabetes, don’t even know they have developed this disease. Because, the most common diabetes, type 2, don’t have noticeable effects at the beginning. Abdul Wahab, "Diabetes," in Science4Fun, April 13, 2019, http://science4fun.info/diabetes/.